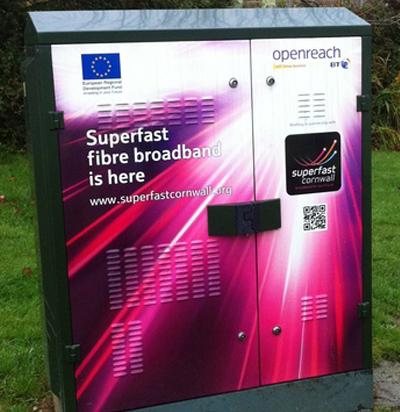 If it says ‘Superfast Accepting Orders’, this means that you are in an FTTC (Fibre to the Cabinet) area. If it says ‘Ultrafast Accepting Orders’, this means you are in a FTTP (Fibre to the Premises) area. If your area is accepting orders, the next step is to contact your preferred internet service provider. If you are in an FTTP area, not all internet service providers choose to offer this service. Take a look at our FTTP Ordering page for more information. If you are in an apartment or office block in an FTTP enabled area, your landlord or management company will need to get in touch with Openreach to arrange for the building to be enabled. Please see the FTTP Ordering page for more information. You can find out more about predicted speeds for your line using the BT Wholesale checker. This is a more ‘technical’ checker, designed for the trade – but you can use it and you may find it useful for additional technical detail. The checker only works for phone numbers that are provided by BT Wholesale, so will not work for Sky and TalkTalk Customers. If it says that you can get ‘FTTP on demand’, you can find out more here.